Something new on the blog today!! 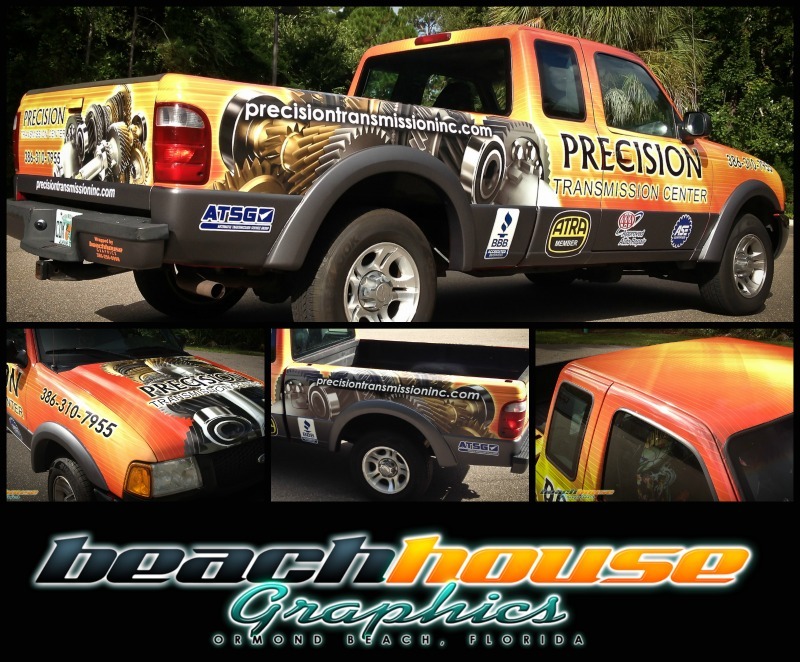 Precision Transmission wrapped their shop truck in a full vehicle wrap with a matte grey accent. The lower portion of the truck is in a 3M vinyl matte finish which sets this wrap apart from the pack. Textured and specialty vinyl draws more attention to your vehicle. Whether your wrap is for personal or professional use, the right match for your personality can really bring something special to your ride. If your interested in vehicle wraps, logo design, or graphics make sure to email us or call 386.256.0998.